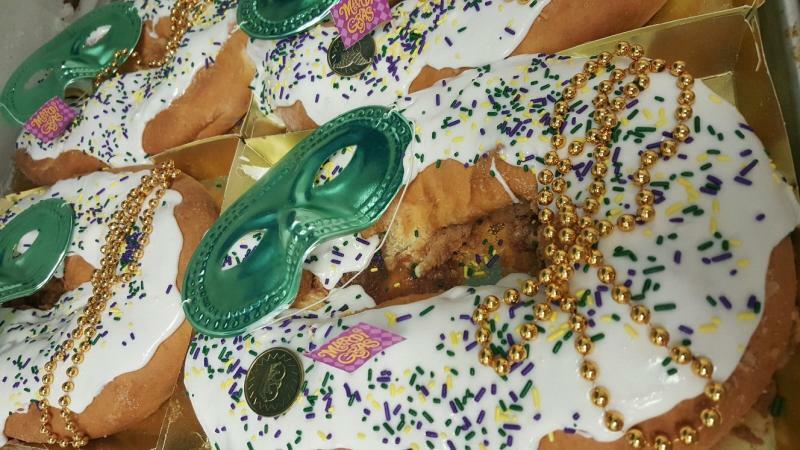 Our king cakes are all hand made in house. 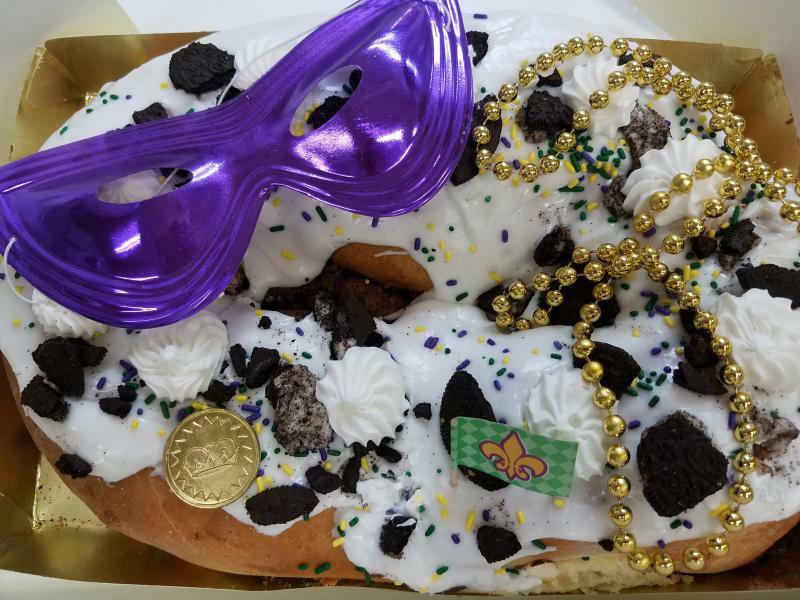 During Mardi Gras time we make them each and every day. 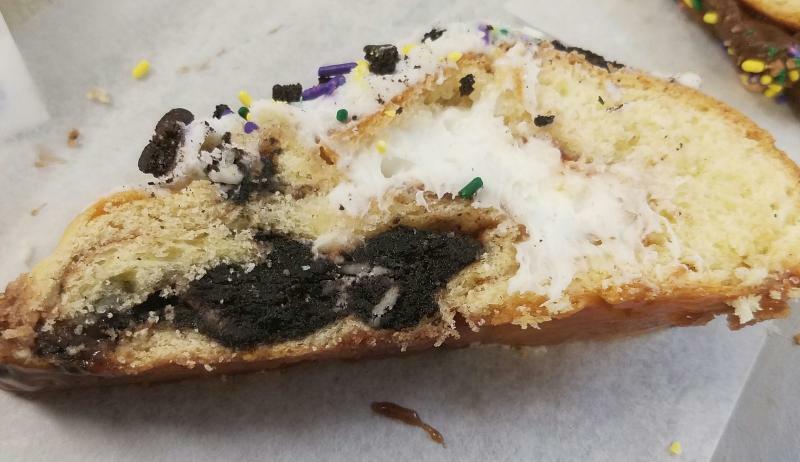 The goal of our bakery is to make our king cakes the absolute best we can for you! We use our own special receipe to ensure the cakes we make are unique and delicious! 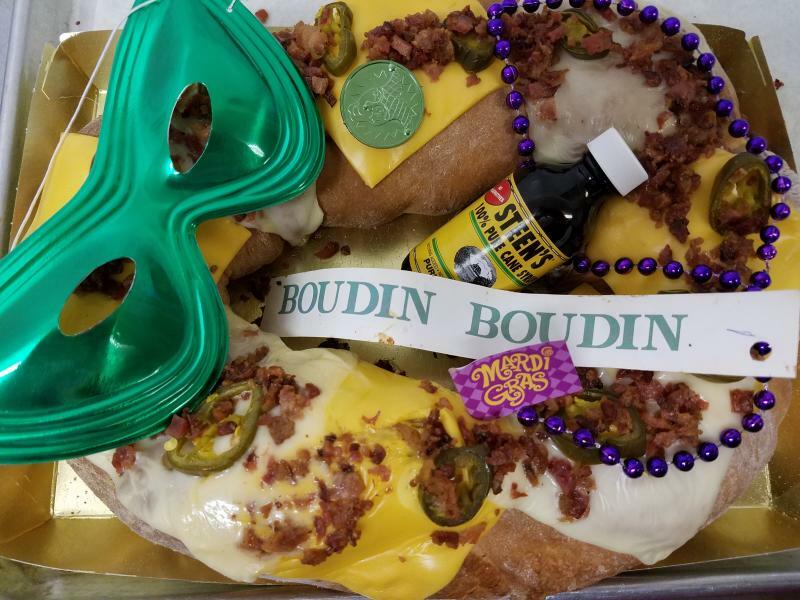 Our Boudin King Cakes are absolutely delicious. 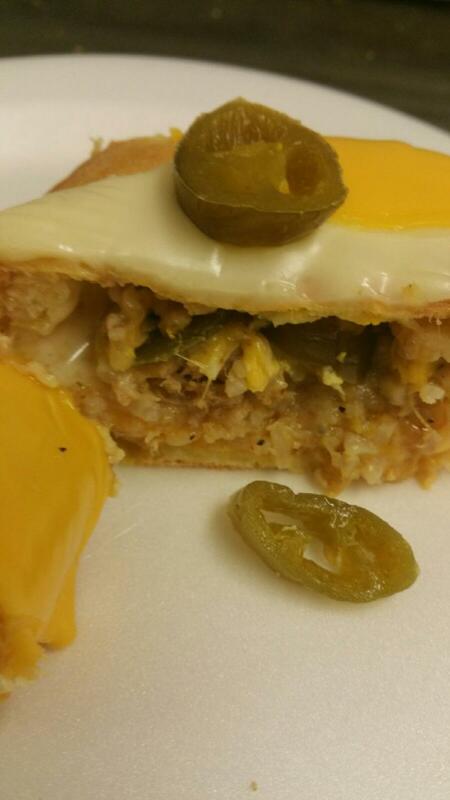 They are made with a yeast raised dough and filled with lots of cheese, boudin, and a few jalepenos. We then Bake them to a nice golden brown color. To top things off we add cheese, jalepenos, and bacon bits. Lastly, we decorate them with Mardi Gras trinkets. We offer UPS Overnight and UPS 2nd Day shipping for our cakes. Overnight shipping is available Monday-Thursday. Shipping available all year with a slightly limited flavor list. Copyright 2015 Delicious Donuts & Bakery. All rights reserved.